For people who thank the heavens every day for the convenience that is frozen foods, you may also want to thank the man behind the invention. His name is Clarence Frank Birdseye II and he happens to be the founder of the modern frozen food industry. So every time you take that bag of frozen veggies or other frozen food from the icebox, you should give a little thanks to Birdseye. Without him, you would not be enjoying the convenience of frozen foods. Clarence Birdseye was an American inventor, naturalist, and entrepreneur. He made one of the biggest innovations and contributions to the food industry when he found a way to flash-freeze food. He did this all on his own and he is responsible for the flash-freezing method that is still used up to this day. His useful invention is enjoyed by millions of people every day. 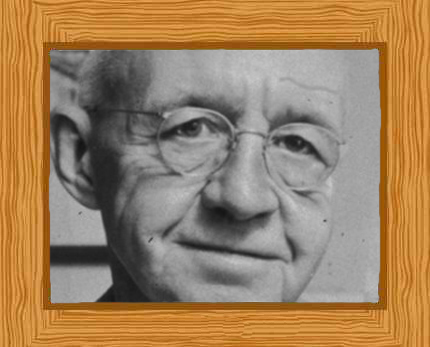 Clarence Birdseye was born on December 9, 1886 in Brooklyn, New York. His parents were Ada Jane Underwood and Clarence Frank Birdseye I. He was the sixth of nine children. He attended Montclair High School in New Jersey and was briefly a student at Amherst College but dropped out after two years. It wasn’t because he was unable to cope with his studies but he and his family did not have the funds for college. He moved out West to work for the United States Agriculture Department. He began his career working as a taxidermist. He then obtained a position in Arizona and New Mexico as an assistant naturalist. This job required him to kill coyotes. He also worked with entomologist Willard Von Orsdel King in 1910 and 1911. Birdseye’s work involved trapping several hundred small mammals and King would remove ticks from them for research purposes. This research established that ticks were the cause of Rocky Mountain spotted fever. In 1912 Birdseye moved to Labrador (now in Canada) as a fur trapper and to carry out a fish and wildlife survey. He stayed until 1915. It was there that he developed an interest in preserving and freezing food (most especially fast freezing). He had some contact with the Inuit and they taught him how to ice fish underneath very thick ice layers. Given the -40oC temperature, he found that the fish was iced rapidly and tasted fresh when thawed. He thought of the frozen seafood available in New York and knew that they were of poorer quality compared to the frozen fish enjoyed in Labrador. He decided to apply his new found knowledge to starting a business. Back in the early nineteenth century, the freezing method used was commonly performed at higher temperatures than the -40oC Birdseye had witnessed in Labrador. This caused freezing at a slower rate which meant that ice crystals were given time to grow in the food. It is now common knowledge that using the fast freezing method results in smaller ice crystals and so less damage is done to food tissues. When using the slow freezing methods on food, fluids leak from the cells and this causes tissues to be damaged by the ice crystals. This is why food that is frozen using the slow freezing method often has a mushy or dry feel to it. In 1922, Birdseye began a series of fish-freezing studies at the Clothel Refrigerating Company. He established his own company soon after and called it Birdseye Seafoods Incorporated. Initially they froze fish fillets using chilled air that was as cold as -43oC. Two years later, in 1924, his company filed for bankruptcy as there was a lack of consumer interest in their product but Birdseye was undeterred. In that same year, he formulated a brand new process that was commercially viable; a quick-freezing process which involved packing fish inside cartons then putting them between two refrigerated surfaces under pressure to freeze the food. With this new process he also started a new company called General Seafood Corporation. In 1925, his new company moved to Gloucester in Massachusetts where he made use of another new invention. He called it the double belt freezer. Cold brine was used to chill two stainless steel belts that carried packaged fish which froze very quickly. He applied for a patent for his invention and it was given the US Patent #1,773,079. This marked the beginning of the flourishing frozen foods industry. Birdseye was a man of vision and he created more machines and took out patents on them. These new machines cooled foods even more quickly so that only the smallest ice crystals formed in the food and thus cell membranes did not endure any damage. In 1927, he decided to extend the process beyond fish and started flash-freezing other food items as well. That year, they also froze vegetables, chicken, meat, and fruits. Birdseye didn’t keep his company but sold it to Goldman Sachs and Postum Company in 1929. Together with his patents, he received around $22 million which was a massive amount of money at that time. His company became part of General Foods Corporation. The Birdseye name was kept as a trademark but split into two words “Birds Eye”. Clarence Birdseye still worked for the company as a consultant and continued to invent newer and better frozen food technology. In addition to freezing food, Birdseye also investigated food dehydration. He called his product “waterless foods”. The name “Birds Eye” still remains a leading frozen-food brand today. Birdseye married Eleanor Garrett in 1915 while in Labrador. They had one son, Kellogg. Birdseye died on 7 October 1956 at the Gramercy Park Hotel aged 69. His cause of death was a heart attack. He was cremated and his ashes were scattered at sea just off the area in Gloucester in Massachusetts.